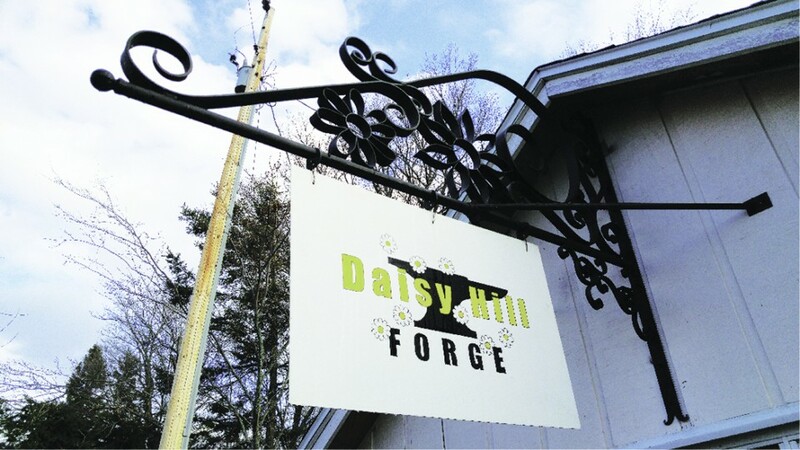 Daisy Hill Forge is the place where your ideas can become things. Traditional style blacksmithing skills are used to create custom pieces that may be functional or artistic, and very often both functional and artistic. This meeting was open to anyone who had an interest in blacksmithing. A great pot-luck lunch was served with many bringing a dish to pass around. The meeting officially started at 12 noon. Many arrived and hour or so earlier. Jennifer demonstrated several techniques that she uses in forging one of her products. 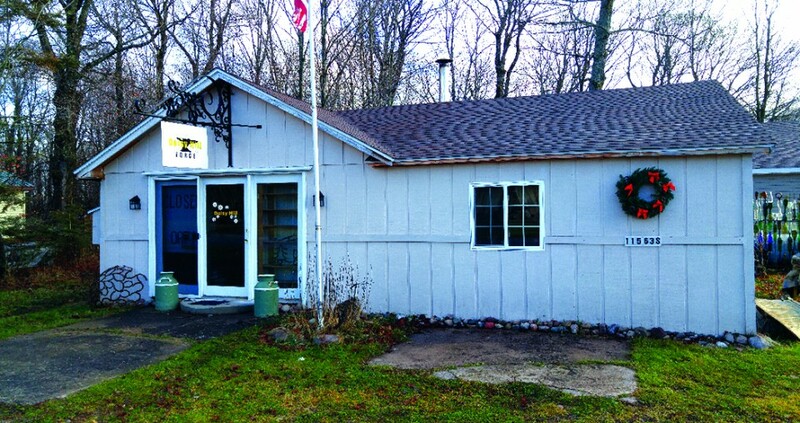 Fall is a wonderful time to visit Michigan’s Upper Peninsula and a meeting of the Michigan Artist Blacksmith’s provided an opportunity to see a blacksmith demonstration and take in a Fall color tour. On top of that Sault Ste. Marie has so much to offer with numerous historic sites, natural wonder sites and Native American Casinos. The meeting was a great success. More than 60 people attended the meeting, watched the demonstration, participated in the pot-luck lunch and ‘iron-in-the-hat’ raffle. Some new members signed up as part of attending their first ever meeting. The weather was perfect with mild weather and clear skies. Fall color in the forest was magnificent. 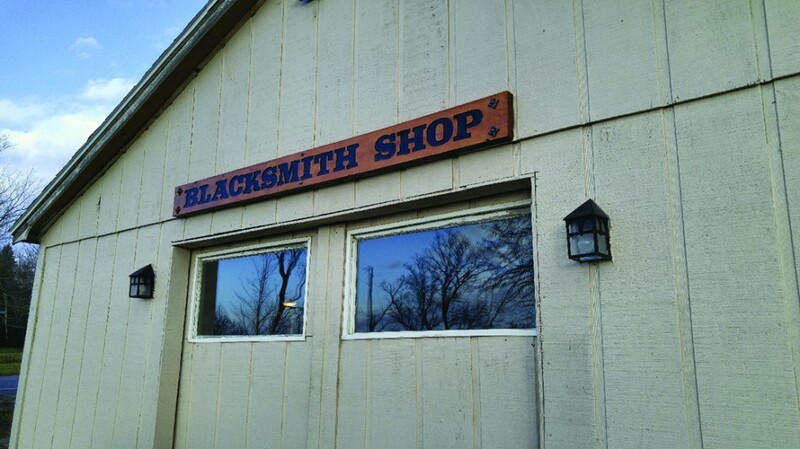 Check the Michigan Artist Blacksmith Association website for the location of the next meeting which takes place in November. 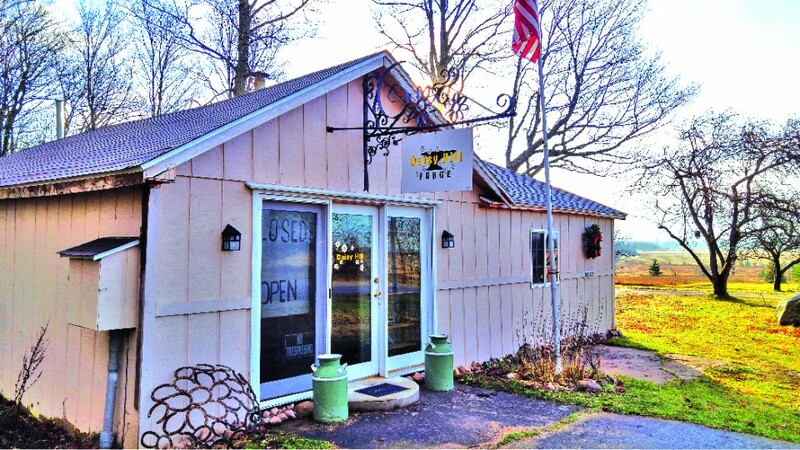 Daisy Hill Forge is located in the rural countryside at the outskirts of Sault Ste. Marie, in the Upper Peninsula of Michigan. The Canadian border is just a couple miles away, across the St. Mary river to the east of Daisy Hill Forge. Farm land and woodland are prominent features of the area. 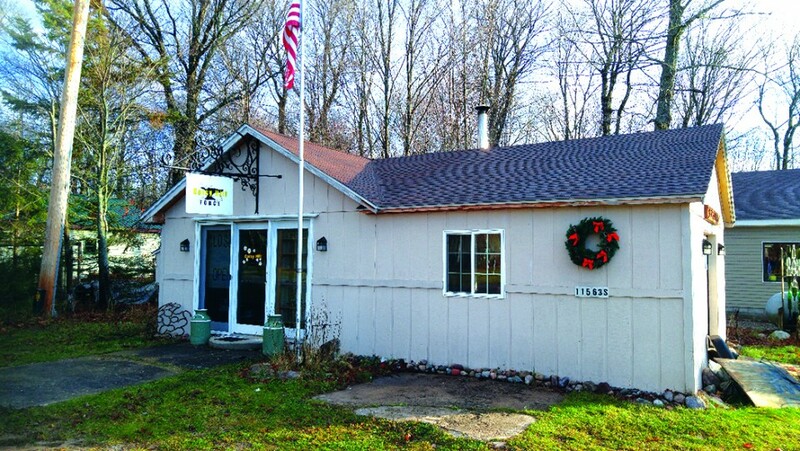 The forge is situated at the top of a rolling hill on 11 acres of private property that is part home site, part wooded and part field. Jennifer Horn, a full time Farrier (horseshoer) operates Daisy Hill Forge where she puts her skill at metal forming into practice as both a Farrier and a Blacksmith. Skill and creativity is evident in the custom artistic and functional blacksmithing work that Jennifer does. Numerous commissioned pieces bear her mark and are found in many areas throughout north America and Canada.